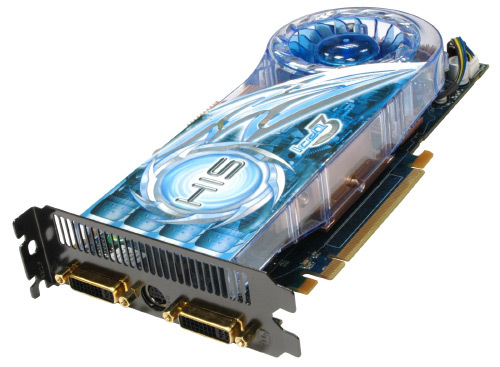 Thank you for your interest in HIS HD 3850 IceQ 3 Turbo 512MB GDDR3 PCIe. You could also visit our product site for more details, in which you will find the benefits and technical specifications in "Overview" and "Specification" section. The "Product Tour" will guide you through the advanced features of ATI Radeon chipset. Feel free to share your reviews with other users in the "Customers Review" section. I hope the information will be useful to you. Please feel free to contact us again if you have further questions. Again, thank you for your interest and support on HIS products.
" 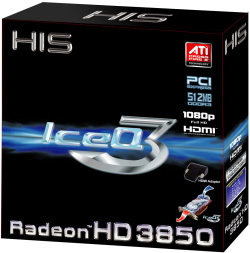 The HIS HD3850 IceQ 3 TurboX comes with complete equipment offers an interesting configuration and has a very silent cooler. " " HIS's cards are often easily identified by the unique cooling solution that the company installs on them - Which is known as the IceQ 3. As you are about to see, this card is no exception. " " Quick PC - Silver Recommended "
" HIS have done a good job with the HD 3850, the IceQ 3 cooler is as good as always and manages to do a good job of keeping the card cool. The overclock out of the box is very nice and really helps it stand out from the pack. " " Results were very impresive; some of them higher the the results we get with a HD38770. Even at 1600x1200 resolution, HIS Radeon HD3850 IceQ3 TurboX manage to get much more then 25 fps "
" 在参加横评的6款HD3850中双敏无极HD3850玩家战斗版的3D性能排行在第三左右。核心频率最高的HIS HD3850 IceQ 3 TurboX 512M保证了在6款横评的HD3850中一哥的位置 "